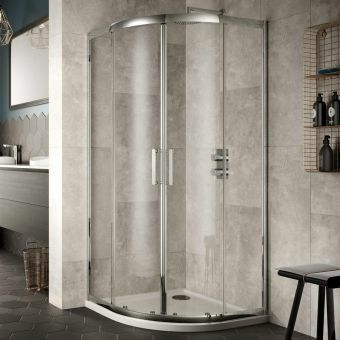 Somner offers the user the opportunity to create a spacious, luxury shower enclosure with this offset option, without the exclusive price tag associated with high quality, exclusive pieces. 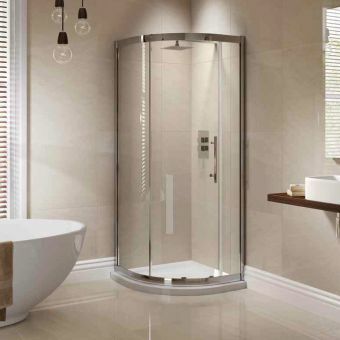 The Sommer Offset Quadrant shower enclosures is supplied in a range of different sizes, from 900mm by 760mm to the spacious 1200 by 900mm, catering for the small and grand bathroom space alike. 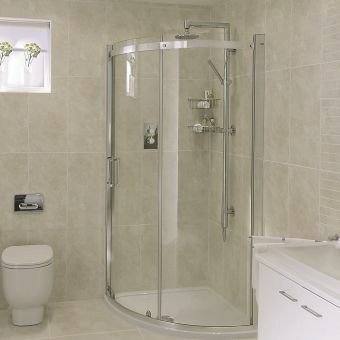 To provide convenient installation options, this set can be fitted in a left or right-hand orientation. 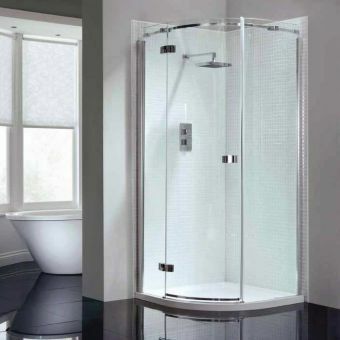 This set is fitted with easy clean glass to reduce the effort spent cleaning, and 20mm adjustments to allow for wall imperfections when installation. 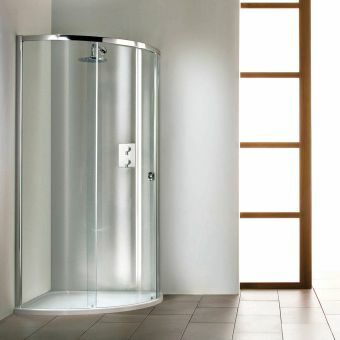 A tray and waste are not included but we have many to choose from.